The davespda.com email gets a lot of messages from users considering one device but wanting to know if there is anything else they may want to consider. In an effort to help you find comparable devices, this section has been developed which includes five categories of products for different types of devices. These five categories are Entry Level, Moderate Use, High-End, Connected Professional, and Smartphone. The first three are PDA only devices, the last two are PDA/Phone and Phone/PDA devices respectively. Devices listed are currently available (or in some cases were only recently discontinued). Unless otherwise noted, products are available from retailers for purchase immediately. ?What Was? devices are no longer considered current because either the manufacture introduced a new version of the product, the product has been discontinued, or the device is simply out of date. The "What Was" is particularly useful for users that are looking to upgrade to understand what category of device they had. Notice that not all devices that fit a category are listed. The goal of this resource is to list between three and seven devices per category that are similar and you may want to consider. Entry level devices may also be referred to as low-end devices. Theses product are not as advanced technically as other products, but that may be precisely the reason they are the right fit of your use. Often, entry level devices are great for use as a digital planner. While they can perform more advanced functions (in most cases), they may have limited expandability and frequently will not include wireless connectivity features. Entry level devices often have a low price tag, ranging from $100 to $250. 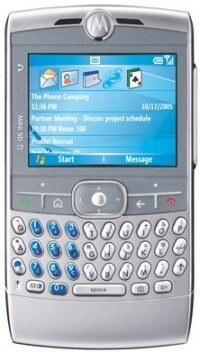 A Moderate Use PDA may also be referred to as an upgrade device or a mid-range device. These products are not the top of the line but or not an entry level device. They are right in the middle of the spectrum is all senses. A user that knows they will want more than just a planner out of their device, but are not exactly sure how else they will use there device may find the moderate use PDA just right. Also, users that will use a device more often than just for a planner but do not plan to have the device takeover their life may find these devices just right. 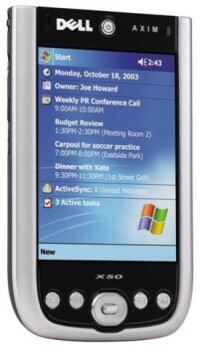 Frequently Moderate Use PDA?s have a moderate amount of memory, a moderate speed processor, and some wireless options. Moderate User PDA?s are usually priced between $300 and $450. For the gadget lover, the geek, or the power user, a high-end PDA will be the top of the line device for getting just about every feature possible and a real top of the line product. High-End PDA?s include all the features of the entry level and moderate use devices, but also feature faster processors, more memory, more wireless, and additional more unconventional features like biometrics and unconventional styles. Often, a high-end device is right for a user that wants to use more multimedia features of a PDA including graphics, audio, and video. High-end devices often have greater connectivity. This range of product starts at $500 (and usually maxes out at about $700). The Connected Professional category often ties in with the High-End category as these products are often High-End products but all include connectivity to cellular networks and double as a phone. Connected Professional devices are a PDA first and a Phone second. They are use a touch screen and likely do not have a number pad like a conventional phone. Users that need constant access to the internet from anywhere and/or want their phone rolled into their PDA are likely considered Connected Professionals. 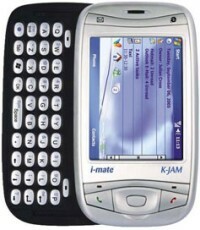 Unlike PDA devices, these products are most often purchased through a cellular phone company. In the United States this means that some products will not work or be available for some networks and this category of devices is broken down by cellular technology. Connected Professional devices usually start at $400 (and usually max out at just under $1000). Smartphone devices may be considered cell phones running Microsoft?s Windows Mobile operating system. Smartphone devices are phones first and PDA?s second, and will often be compared with conventional cell phones. Smartphones do not have touch screens. 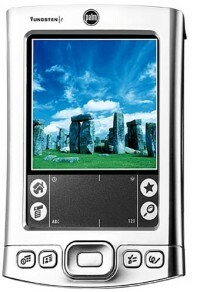 Currently there are no PalmSource Palm OS based products that do not have touch screens hence this category is solely reserved for Windows Mobile devices. Smartphone devices include personal management features like a PDA, but they lack strong support for data entry and thus are primarily phone devices. Smartphone devices support internet connectivity but to a smaller degree than Connected Professional devices because of screen size and navigation. Unlike PDA devices, these products are most often purchased through a cellular phone company. In the United States this means that some products will not work (or be available) on some networks and this category of devices is broken down by cellular technology supported. Smartphone devices can be free when purchased with a cellular contract, but can cost as much (or more than) $500. There is only one Smartphone (Phone/PDA) device in this sub-category currently. If you are considering this type of product you should also look at what is available on the PDA/Phone Category. Use this Make Table button to make a table of the selected devices. 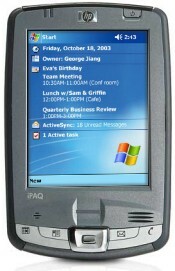 PDA Compare was built to run in Internet Explorer version 4 or higher. Sister tells me about windows 8 data recovery on web resource.